They have had an incredible 2018 which included their highly-successful On the Run II Tour which filled stadiums across the world. 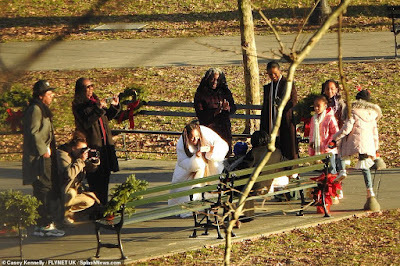 But Beyonce and Jay-Z were able to spend Christmas in a much more low-key way. 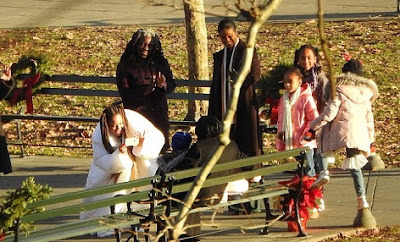 The 37-year-old Drunk In Love hitmaker was spotted cuddling with 18-month-old twins Rumi and Sir as they spent the holiday at a park in New York City with family on Tuesday. 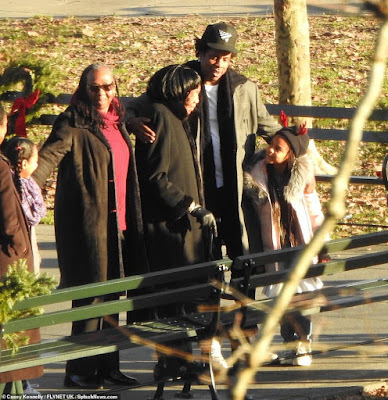 The power couple were there to show the 49-year-old mogul's grandmother, Hattie White, the thoughtful present they had given her which was a bench at Brooklyn's Prospect Park dedicated in her name.